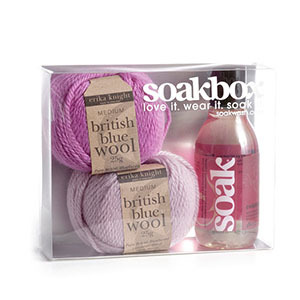 What is it: This limited edition Soakbox includes a bottle of Soak, stylishly matched to erika knight British Blue wool. Perfect for layering to keep baby cozy and cool all year through. 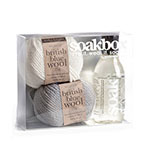 And all made with the very best of British wool. 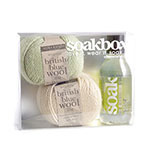 Soak is the perfect gentle, no-rinse wash for all of baby’s delicates. Be sure to handwash and air dry your knit pieces to keep them looking great wear after wear. 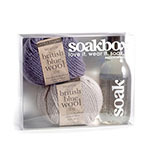 How it works: Patterns included to knit 2 essential pieces to knit for baby. Really easy to make using basic stitches. Perfect for layering to keep baby cozy and cool all year through. 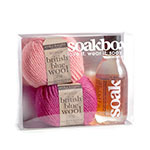 And all made with the very best of British wool.